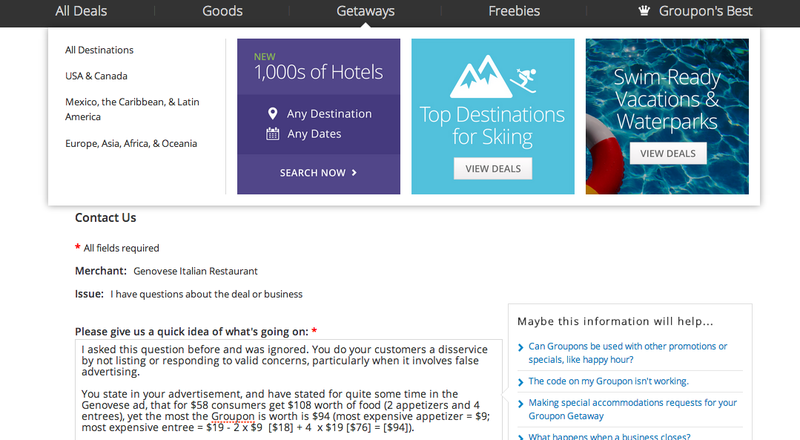 CombatCritic's "TravelValue": Groupon Is Advertising False Prices/Discounts and Ignoring Questions From Customers! Groupon Is Advertising False Prices/Discounts and Ignoring Questions From Customers! Expires 90 days after purchase. Limit 1 per person, may buy 1 additional as a gift. Limit 1 per table. Valid only for option purchased. Dine-in only. Not valid on 12/31 and 2/14. Not valid with any other promotions. Merchant is solely responsible to purchasers for the care and quality of the advertised goods and services. See the rules that apply to all deals. Pasta became a staple of Italian fare after Roman Emperor Caligula famously appointed a plate of lasagna to the Senate. Elect to eat decadently with this Groupon. Exposed wooden beams hang above terra cotta and reproduced antique tiles in Genovese Italian Restaurant's dining room. The rustic ambiance complements the dishes of award-winning Executive Chef Armando Paniagua, who uses ingredients sourced from six local farms to craft the Italian cuisine of northwest Italy's Liguria region. The wood-fired rotisserie and charcoal grill are imported from Italy, as is the pasta in dishes such as whole shrimp pesto risotto and spinach fettuccine. Chef Armando also pulls pizzas out of the oven, including one sporting wild berries, mozzarella, and a mint and fig balsamic glaze. To help wash down those items, barkeeps pour wines from Italy, Portugal, and Argentina, serve up microbrews, and supply digestifs that settle stomachs as gently as a Tums smoothie. New breakfast hours start at 8 a.m on Thursday through Saturday. HERE'S MY QUESTION SUBMITTED 1/23/14: "Read the menu. 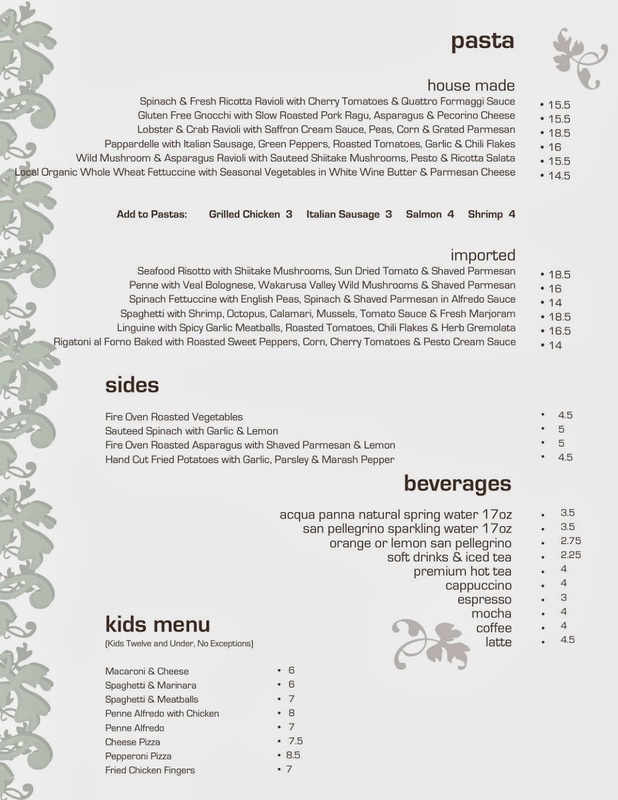 Appetizers max out at $9, entrees at $18.50. 1 x $9 = $9 and 2 x $18.50 = $37 and $9 + $37 = $46 NOT $54! Your deal is misleading, if not FALSE ADVERTISING ... I guess you don't care because my last question was never answered! This time it's going on my blog ... www.CombatCritic.com"
I submitted a similar question to Groupon on January 23rd, 2014 and was ignored, GO FIGURE! 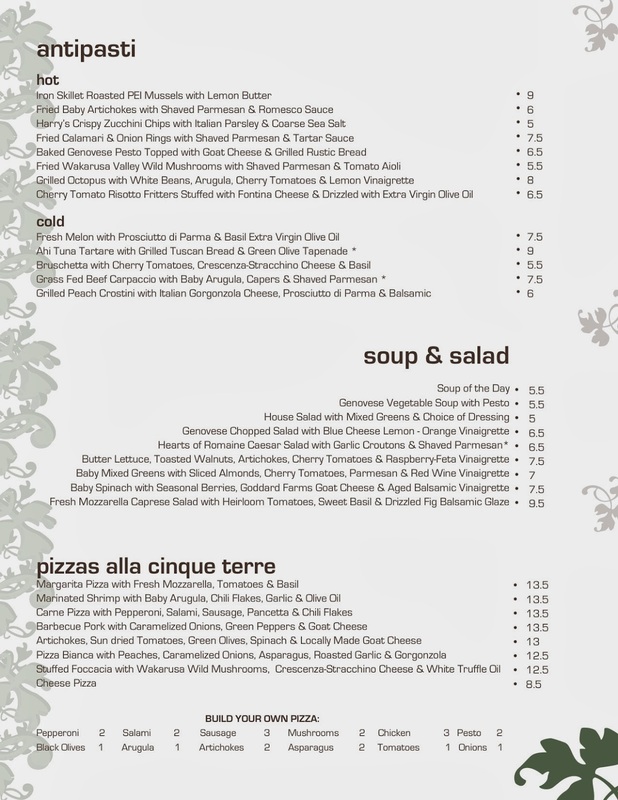 Here are the menus provided, you do the math! PS - It's "antipasto", not one "antipasti". Antipasti is the masculine plural of antipasto, meaning "appetizer" in Italiano. "I asked this question before and was ignored. You do your customers a disservice by not listing or responding to valid concerns, particularly when it involves false advertising. You state in your advertisement, and have stated for quite some time in the Genovese ad, that for $58 consumers get $108 worth of food (2 appetizers and 4 entrees), yet the most the Groupon is worth is $94 (most expensive appetizer = $9; most expensive entree = $19 - 2 x $9 [$18] + 4 x $19 [$76] = [$94]). The "savings" of $50 (46% OFF) you advertise IS INCORRECT and MISLEADING! The most that can be saved on this Groupon, IF the most expensive appetizers and entrees are ordered, is $36 (38%) ... NOT $50 (46%)! and was ignored. If I continue to be ignored and if your false advertisement is not corrected, I will file a complaint with the US Attorney General and Federal Communications Commission for false advertising. You should not mislead consumers by advertising inflated and incorrect discounts. It is illegal."